The Anzac Cove is a bay in the Canakkone province of Turkey. This beautiful swimming beach is mainly popular as the site of the World War I of 1915. This is where the battle forces landed and made their shelter. There are also two army hospitals standing here from the time of the war and also a cemetery that remains here with the graves of the brave soldiers who lost their lives fighting for their country. The place is now very well maintained by the government and is declared as a protected site. This is also a very popular tourist spot given the fantastic natural surroundings of the place. 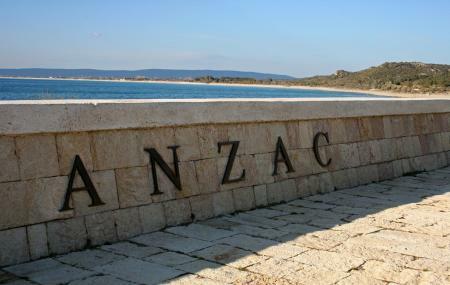 How popular is Anzac Cove? People normally club together Canakkale Sehitler Aniti and Polente Feneri while planning their visit to Anzac Cove.